Our goal is to help you and your family achieve and maintain optimal health and healing through natural Chiropractic care. We can treat your aches and pains, help prevent spinal degeneration and, most importantly, improve Nervous System function and communication! You don't have to accept pain and disease any longer. We will guide you through a Philosophy of Health, the Art of Correction, and a Science full of Evidence. 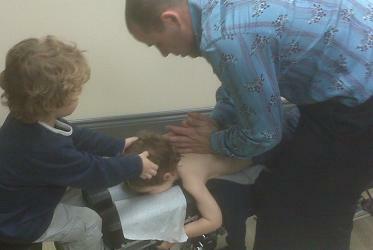 We offer you and your family a Complete Chiropractic Care Program. Any new experience, especially when it comes to your health, can be unnerving. We understand that, for many of our new patients, this may be their first chiropractic visit. Our goal is to fully explain our processes and ensure that you are completely comfortable with our proven approach. DAY 1. You will be asked about your past health history including previous injuries, chronic problems, your current symptoms, and additional questions designed to help determine the nature of your condition. These include your family history, dietary habits, job or work habits, and previous treatments related to your current condition. We will proceed with a thorough Chiropractic Consultation, Examination and possible adjustment, if necessary. Getting rid of the symptoms is just a side effect. From a very simple perspective, this is how the brain controls the body. Your brain generates nerve impulses to control and regulate your entire body, from your nose to your toes. Nerve impulses are sent down the spinal cord and out to every organ and tissue of your body. So that your brain knows everything is working as designed, impulses are sent back up to the brain. That’s the definition of True Health. Many things can disrupt nerve impulses either to or from your brain. The moving bones of the spine are common culprits. When this happens, affected organs and tissues will not work right and symptoms can result. 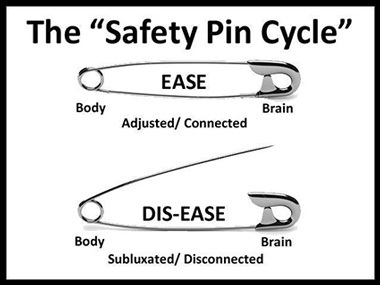 Chiropractors locate and reduce these nervous system disturbances with safe and natural chiropractic adjustments. With restored nervous system integrity, health can return. Without drugs or surgery. What will your last 10 years look like? Chiropractic adds years to life and life to years. I always look forward to my adjustments with you (especially when I’ve been away for a while). You always leave me feeling much better than when I came in. I will certainly recommend you to anyone looking for chiropractic care. You really perform great work. I consent to having my email address added to the Garvey Chiropractic electronic mailing list. I understand that I will periodically receive news releases and other information from the company and that I can unsubscribe at any time.